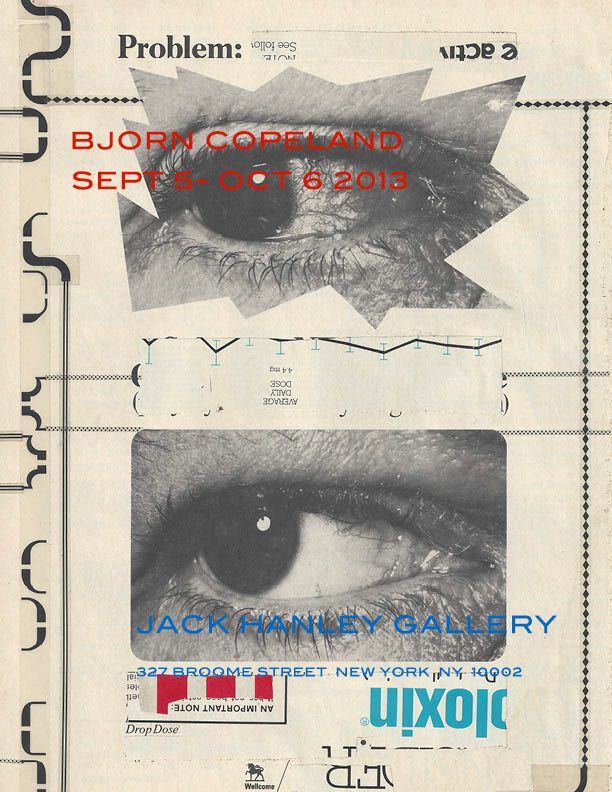 Jack Hanley Gallery is very pleased to present our third solo exhibition by Bjorn Copeland. 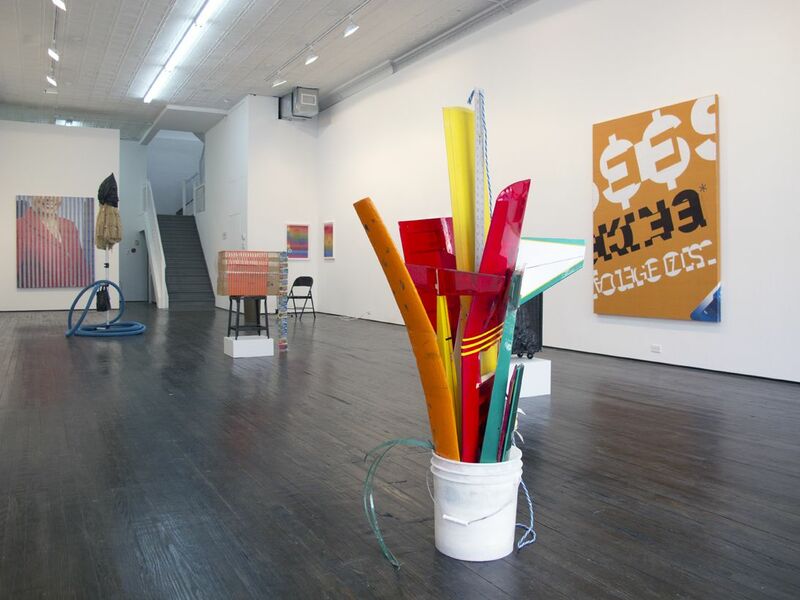 Combining the commercial landscape for product detritus and two-dimensional media, Copeland guts and recombines found materials into psychotropic Pop assemblages. His material gestures range from slight and clever manipulations of image or lettering to jarring repetition of pattern and hyper-saturated color. 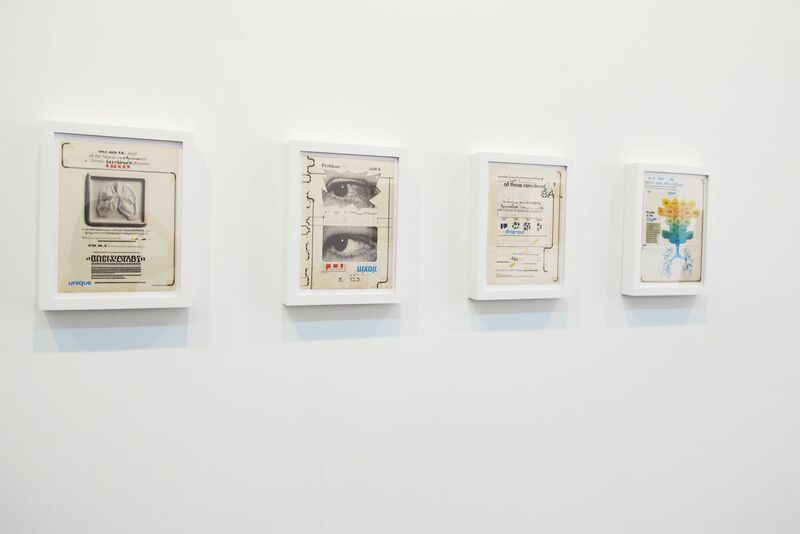 Leaving the skeletal remains of the commodity form, Copeland reclaims the “potential” of the object, showing it as if in a state of growth or flux. 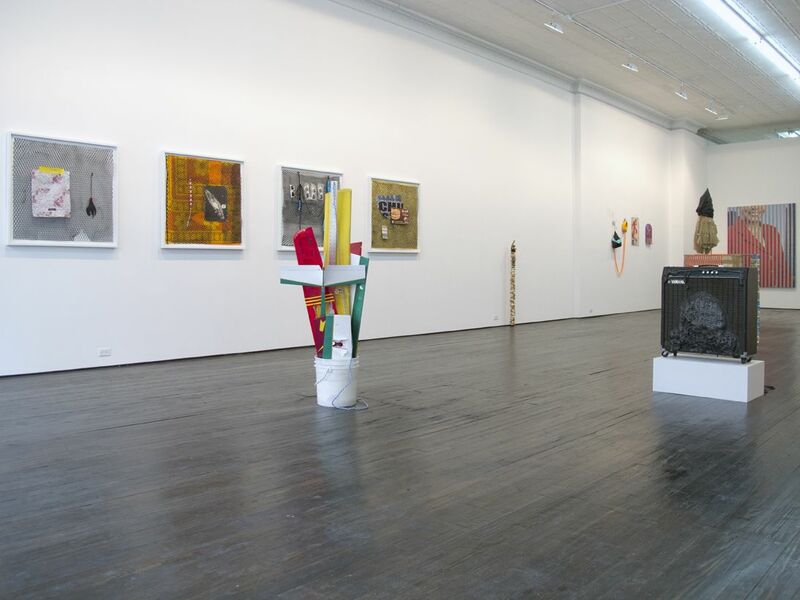 Having founded the experimental noise-rock band Black Dice while studying at RISD almost two decades ago, Copeland’s artistic and musical careers have developed simultaneously. 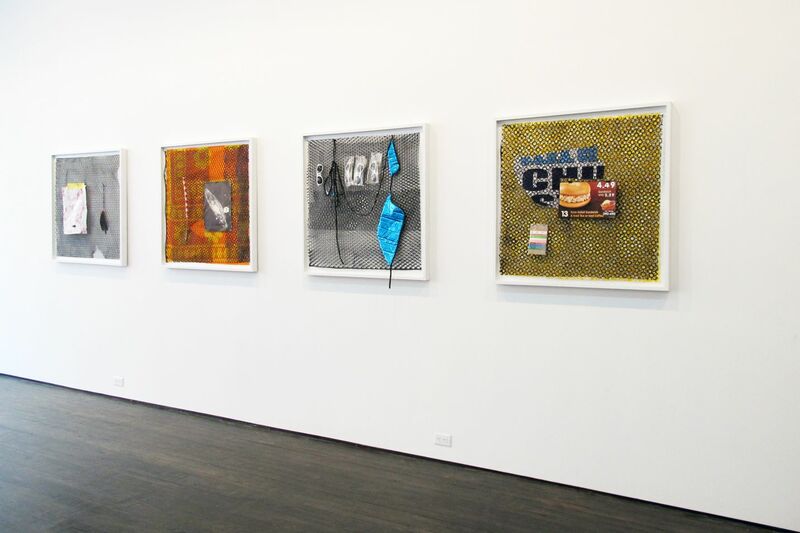 A crossing of audio and visual ways of thinking have become almost second nature to him; when conceiving of Pop, it is with Paolozzi-style collages, DIY record covers, 50’s rock-and-roll and pop-electronic beats in mind. While occasionally pushing toward sensory overload in each genre, Copeland’s artwork also has an understated poignancy. 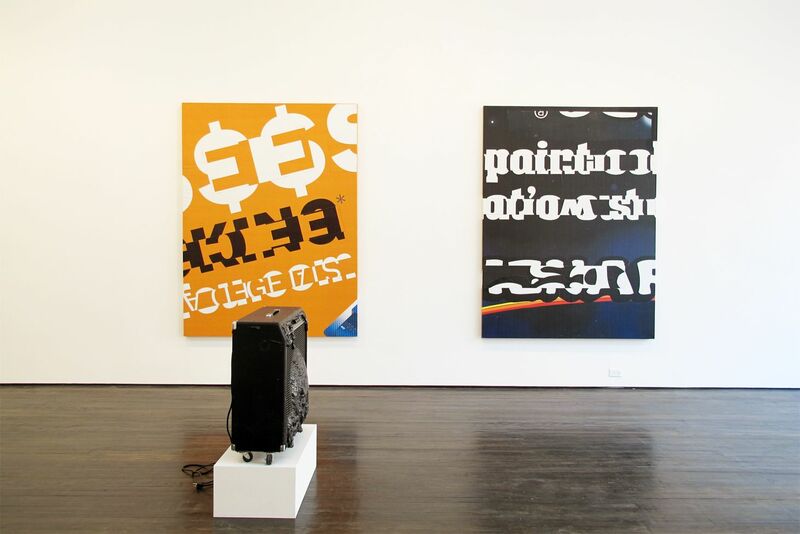 The used-up musical equipment, discarded beach wear, re-stretched billboards that make up the exhibition may have lost their material edge, but are re-elevated through the artist’s use. 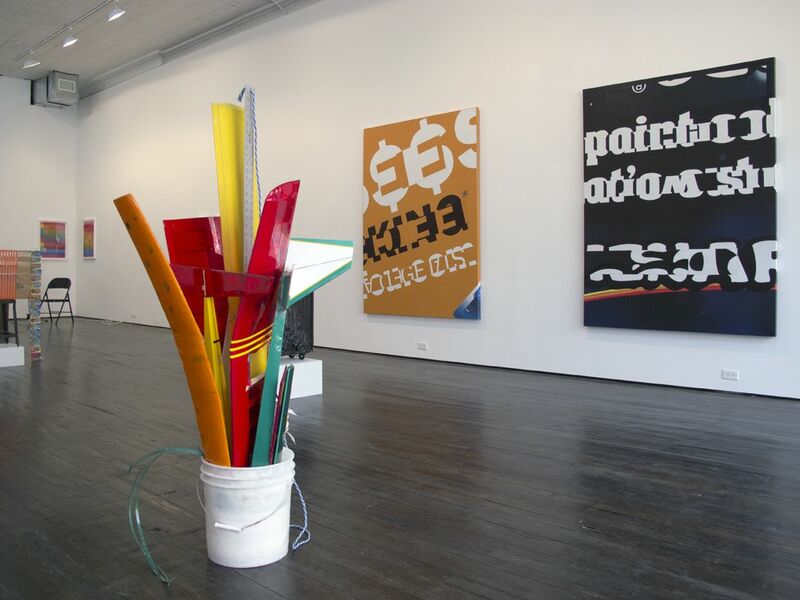 Bjorn Copeland has shown nationally and internationally including exhibitions at PS1 Contemporary Art Center, D’amelio Terras, Daniel Reich and the Gagosian Gallery in New York, the Museum of Contemporary Art in Chicago, Galerie Frank Elbaz in Paris, France, and at Jack Hanley Gallery’s San Francisco space. Black Dice have toured extensively since they started playing together in the late nineties. They have performed internationally in several notable cultural institutions such as the MFA Boston, the Walker Art Center in Minneapolis, the Cartier Foundation in Paris and the Taki Ishii Gallery in Tokyo.